Born on December 6, 1963 in Houston TX to Larry and Karon Culbreath, Jamie Karyl (Culbreath) Rizzotto passed away on Saturday, February 24, 2018 in Austin TX surround by loving family and friends. Now she leaves behind a legacy, and inspiration to all with or without cancer she is a reminder to all, that against all odds there is hope. She is now in heaven with her wonderful sister and smiling down upon us. Today we celebrate the life she lived and the eternal life she now has in heaven. She will be dearly missed by all her family and friends, which are many. She is survived by her husband, Sammy Rizzotto of Liberty Hill, son Jeremy Rizzotto and wife, Chessa of Liberty Hill, son Lucas Rizzotto and wife, Grace of Liberty Hill, mother Karon Culbreath of Liberty Hill, father Larry Culbreath of Houston, brother Jack Culbreath and wife Kelly Ann of Jourdanton, nieces Amber Yow and husband Roper, Katherine Culbreath, Bailey Culbreath, and Chandler Culbreath and husband Will Beard, nephews Jarrett Culbreath, Reagan Houston IV and wife Megan, Ross Houston. Great-nieces Kynlea Yow and Kelly Lynn Houston and Great-nephew Twister Yow. Also surviving her are her “special” sisters – Christy Foster, Sandra Riley, Pamela Schuchart and Terry Koger. She is preceded in death by her sister, Kelly Culbreath Houston. 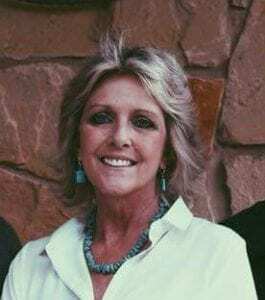 A Celebration of Life will be held at the family home located at 701 CR 288, Liberty Hill TX 78642 on Saturday, March 24 starting at 1 p.m.
Jamie’s smile lit up rooms. I don’t think I ever saw her at work without that beautiful smile. She was a joy and inspiration and I will remember her always. God bless the family. Heaven has gained an angel!!! !